With the recent announcement of the new Apple Watch, AirPods, and iPhone 7, it’s no secret that we live in a world ruled by technology. 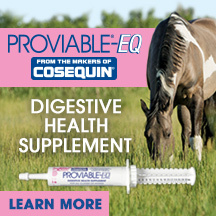 So how does that translate to our horses? Sure, there are health monitors for horses, trail tracking and workout apps to monitor progress, and a slew of new technologically advanced things hitting the market every day. 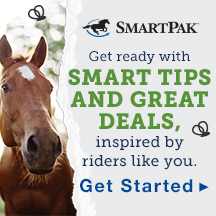 But what about saddle fit and half pads? Seeing as how saddle fit and half pads are a passion of mine, you know I had to ask. Ask, and you shall get answers! 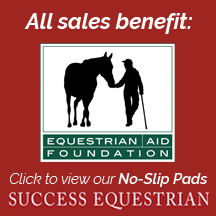 While doing research for my recent articles about half pads (To Shim or Not To Shim and Winning Combinations #betterforbacks), I came across two saddle pads that stood out from the rest due to their outstanding technology, benefit for horses with back issues (both half pads mentioned benefits for horses with chronic back issues such as kissing spine during my research), and reasonable price points (between $200 – $300 which I’d consider standard for a quality half pad these days). While I did mention both saddle pads in the Winning Combinations article, I felt these two pads needed a little more focus to really do them justice. Let’s start with the Kingsland Relief Pad. 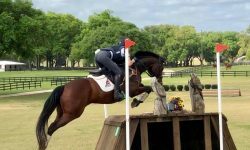 I was fortunate enough to meet the Kingsland Equestrian team at the AETA trade show this past August, and they were nice enough to spend quite a bit of time explaining to me the saddle pad and how it worked. 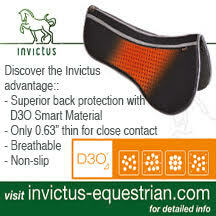 First, the most unique thing about this saddle pad in my opinion, is that it comes in various densities for different shock absorption properties, without changing the thickness of the pad. 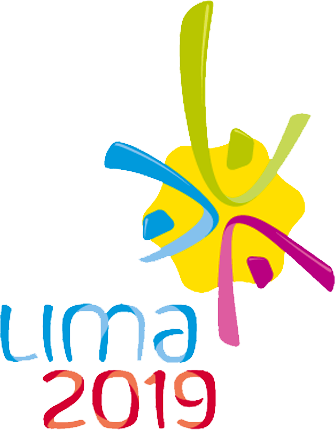 Yeah, guys! 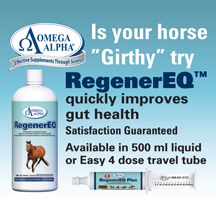 That means that if you need one density for dressage, and a different density for jumping (any eventers out there? 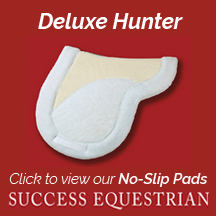 ), the thickness of the pad won’t change so you don’t have to worry about bulk and your horse’s ability to feel your aids through the saddle. Pretty cool stuff! The density of the pad is adjusted by riding discipline and rider weight to provide exactly the level of shock absorption you need. 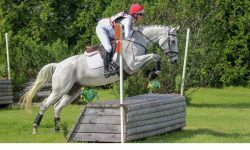 Photo by Kingsland Equestrian. The saddle pad comes in a lovely box with a chart on the back that helps you determine which saddle pad is right for you based on your weight plus the discipline you ride. 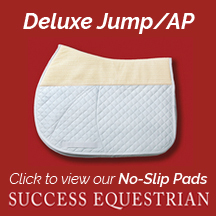 This allows you to select the right density saddle pad based on what you need — more for jumping, less for flatwork. The other nice thing is that you don’t necessarily need to always go up in density — they explained to me that “more is not more” as the half pad is made to work with the type of shock absorption you need, specific to the task at hand. So you’d need less shock absorption for dressage than for jumping cross country and the saddle pad is made accordingly so that you always have the right amount of cushion + feel for your hose to understand your aids. Next, this saddle pad is made of an antimicrobial material that can come out of the cover and simply be hosed off and air-dried to keep it clean. It’s woven for breathability, and the cover is easily washable. 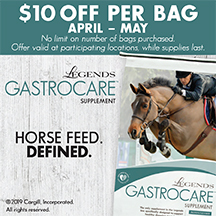 Even cooler, the cover has a breathable mesh channel so as to give your horse plenty of room in the gullet over the spine, and the pad has some great non-slip grippy lines on top so that your pad stays in place, whatever the terrain. Kingsland Relief Pad Benefits. Photo by Kingsland Equestrian. I tested this pad out in the ring on my OTTB Sky, who is high withered with lower shoulder blades that leaves some space between the top of his shoulders and the gullet. He loved this pad as he is very lower back sensitive, with lots of old chiropractic issues, and also heat sensitive so the breathability was a big plus! When he needed, I was even able to stick a shim between the saddle and the half pad and it stayed put due to the non-slip grip lines. I also took the pad out on the trails in the Adirondacks, and on our first hunter pace of the season, where I used it on Cole my 8 year old Dutch Warmblood. He’s got some growing and filling out still to do as he is only recently started under saddle, and with the trails of up to nearly 20 miles over steep, rocky terrain in hot humid weather, protecting his back while offering a stay-put breathable solution was a must. The Kingsland Relief Pad stood up to the test, and was a winner for both horses! 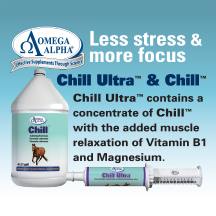 Highly recommended for any horse that needs the cushion and conformationally has withers with some room between the top of the shoulder and saddle gullet or for a horse where the saddle is just a hair wide. The full video on YouTube discusses all of the benefits of the Kingsland Relief Pad and I can personally attest that all of its claims held true out in the ring, the hunt field, and on the trails! 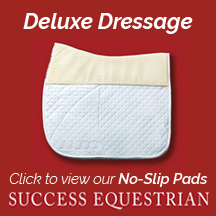 The S-Curve Half Pad by SedeLogic was one of the most unique saddle pads I’ve ever tried. It does take a little longer to get set up due to the thermoplastic in the rear of the pad, and while I was skeptical, by the time I was done with my ride, I was a believer! 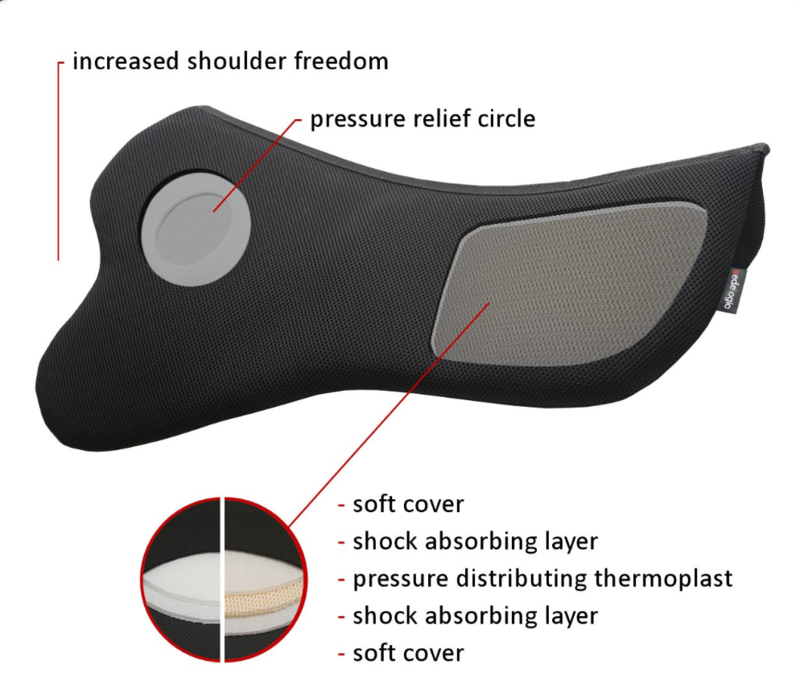 The S-Curve Half Pad uses a 2-ply cushioning throughout, coupled with a thermoplastic rear panel (one on each side) that allows for custom fitting. It’s washable up to 80ºF, breathable and pressure relieving as well. The most technologically advanced part about this saddle pad is that you take a hair dryer to heat up the thermoplast rear panels and once they are soft and pliable, put the pad on the horse and tack up. Tech specs of the S-Curve Half Pad by SedeLogic. Photo by Vitafloor.com. You then sit in the saddle for a few minutes, and then walk off for another few minutes, allowing the plastic to cool and conform to the horse’s back. 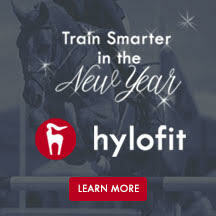 We went through this process with Max, my 7 year old Oldenburg gelding, as he has very wide shoulders and is sensitive to shoulder pressure but also learning to jump more consistently which can at times, result in the rider getting jostled around or catching him in the back when he jumps awkwardly. So while he doesn’t have back issues, this was a good pad to test on him because I’d sure like to keep it that way. Once the plastic cools, you’re ready to ride! The first thing I noticed about this pad was that I actually didn’t really feel any different in the saddle, despite the thermoplastic in there. 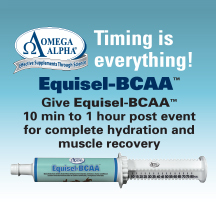 I expected it to feel rigid, but it still had flexibility while protecting my horse’s back and I was still able to feel his movement and he was able to feel my aids just fine. 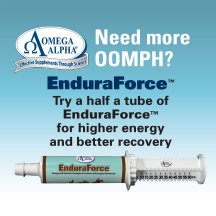 It offered protection and shock absorption without changing the feel of my ride at all. The thermoplastic used is breathable, and also good for horses with specific back issues. Photo by Vitafloor.com. Next, I also noticed that the unique s-curved shape contour of the front of the pad fit nicely around his shoulders, and the pressure relieving circle also helped free up his front end tremendously, as he is in a snug, properly fitting saddle and his wider shoulders don’t really leave any room for additional padding. I happened to have on my helmet cam, and tried to capture some shots of his shoulder movement while hacking (my apologies for the un-dragged overgrown ring, it’s been a crazy summer!) which shows just how that contour of the pad really fit him perfectly! 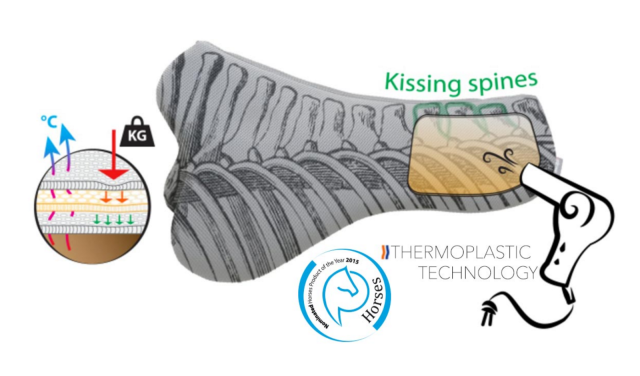 Finally, for the SedeLogic S-Curve Half Pad, the thermoplastic can be reheated and adjusted for use on different horses. This way if your horse changes shape, or you get a new saddle or have a new horse to use the half pad on, all you need to do is heat up the back of the pad again and then mold it to the new horse / situation and the fit will be totally changed. Really neat technology, and definitely something that I can see benefitting horses with back issues. Overall, the S-curve fit him like a glove, but when I tried to swap pads and put this pad on Sky, and the Kingsland on Max, it was no bueno. 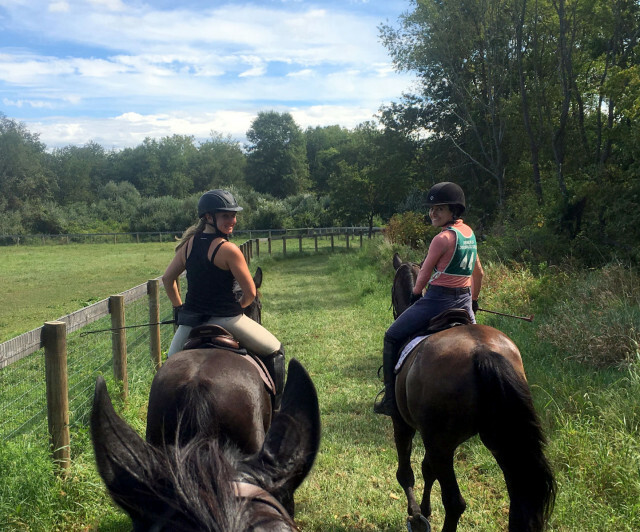 Both horses wanted their own saddle pads back … For Sky it was easy to see that because of his higher withers, the contour of the S-Curve didn’t hit the right spot on his shoulder, and the Kingsland was just a shade too restrictive on Max’s shoulders. The moral of the story? Every dog horse has his day half pad. 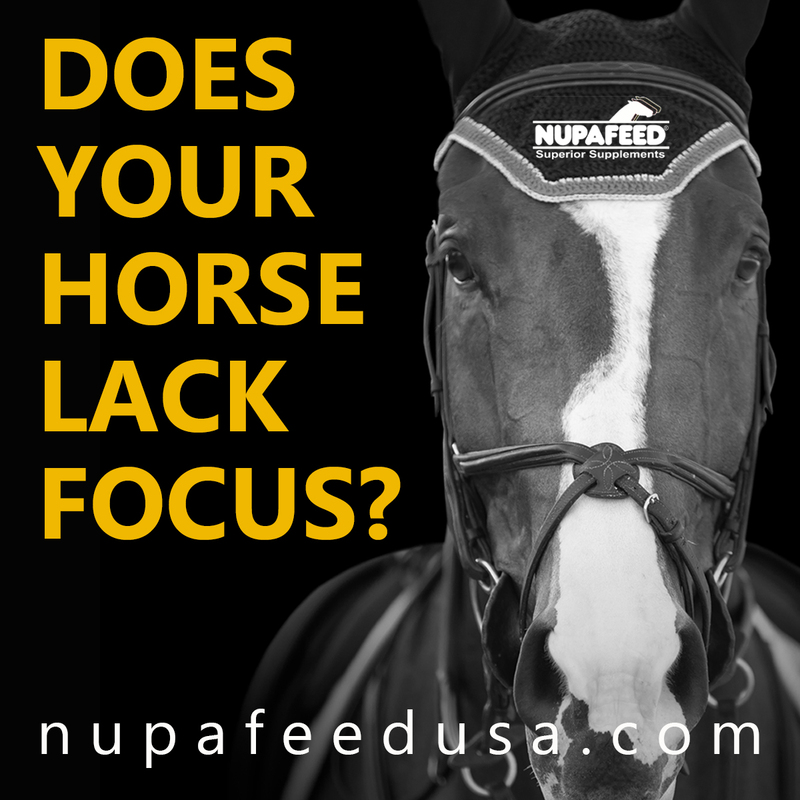 In all seriousness though, every horse is different, and sometimes it is a matter of trial and error to determine what works best for each individual horse and saddle combination. 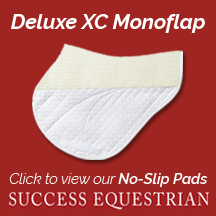 Hopefully this series of articles has helped guide people to find the types of pads that may work best for their horses based on the various testing I’ve done and all of the scenarios I’ve put these half pads, horses, and even my friends through! Next up — how girths affect saddle fit. (Really? Is that a thing? Apparently that’s a thing.) Ah, there’s always more to learn!